Vietnamese restaurants are famous for offering dozens of different dishes, for slapdash décor and for epic dining rooms, but Quan Long Hoa is none of these. When I first opened its menu, I thought pages were stuck to the three I thumbed through; I even tapped it a couple of times. The restaurant was almost as small as my office, which is about the size of a walk-in closet in Mission Viejo—okay, Lake Forest. Despite its snugness, Quan Long Hoa felt like a jungle temple, all wood paneling and platitudes about the virtues of veganism, with flowers and vitamins for sale and a flat-screen airing what seemed to be a female guru lecturing to hundreds of devotees. Quan Long Hoa also sells rice and noodle dishes that are fine; the only real flop is—ironically enough—the spring rolls, the one vegan dish all Vietnamese restaurants offer (the rice wrapper is too gummy, the peanut sauce bland). Take note, vegan chefs: This is how you do it. 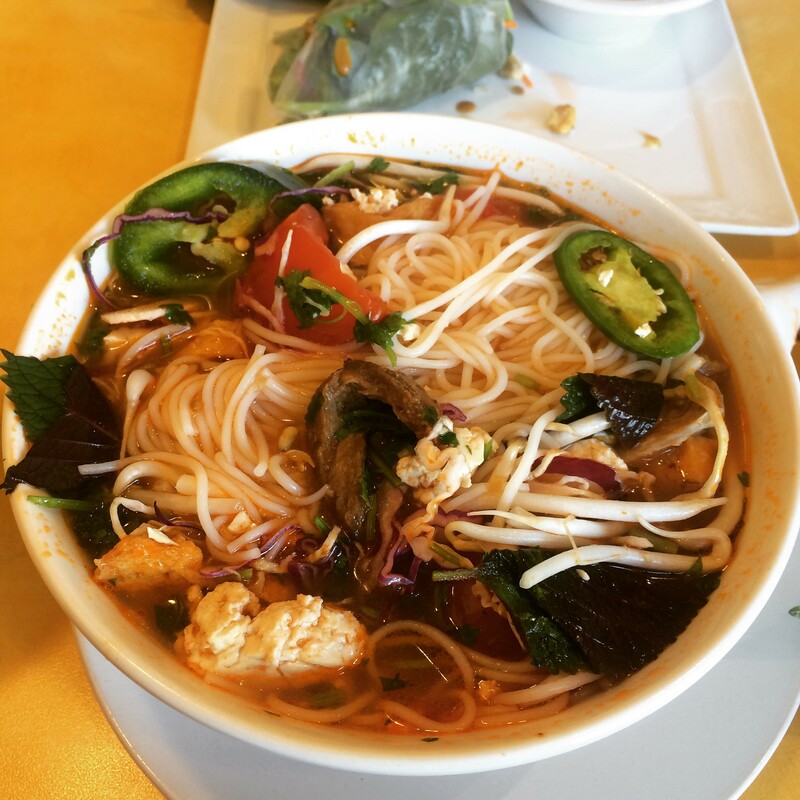 Quan Long Hoa, 9550 Bolsa Ave., Ste. 125, Westminster, (714) 514-8726.